Hm, looks like a bug. I'll look into fixing it, for now as a workaround for the crash you can install any mod that provides RF API (e.g. EnderIO). Fixed in 1.6.4.22, thanks for the report. Forestry 5 doesn't provide RF api? That seems strange, considering it uses RF for its machines (and afaik can't use EU directly the way Gendustry machines can). Anyway, thanks for the fix. It launches now, without having to install an extra mod for that. They switched to forge energy as the default power system with RF as a soft dependency a few builds ago. I can't seem to get any liquids into the Gendustry blocks... I can get power into them just fine but I can't seem to get the Liquid DNA/Mutagen/Protein to go into any of them. I don't currently have any mods that give me fluid pipes since Buildcraft doesn't seem to be available for 1.10.2 yet, so I've been making due with buckets, capsules and the like, but the Gendustry machines just don't seem to accept that. Am I doing something wrong??? You should be able to click the machine with a bucket in your hand to fill/empty buckets. Also there's EnderIO for 1.10.2 which has awesome pipes for fluids/items/energy. If any of the above doesn't work as expect - please report it to the tracker with versions Gendustry, BDLib, Forge and other used mods. Hi Bdew, currently my server is crashing upon startup due to what I'm guessing is an error with an item conduit (from Ender IO) and a Gendustry machine. I don't know why it's happening for sure, however, but if you could tell me if you know if there is a way to fix it, I would really appreciate it. Thanks! Should be fixed in the next version (1.6.4.16) which will be up in a few minutes. If you still get an error after that - please open an issue on github. Mismatch between the versions of Gendustry and BDLib. You need to either use the beta builds for both or the latest alpha for both. The 1.10.2 version should in theory work on 1.9.4 though i haven't tested it. I really don't see why people would stick to 1.9.4 since updating to 1.10.2 takes about 5 seconds for almost any mod. Tried running it on 1.9.4. On start-up a message pops up letting me know it doesnt want 1.9.4 version of minecraft and wants to run on the 1.10.2 version, unfortunately. 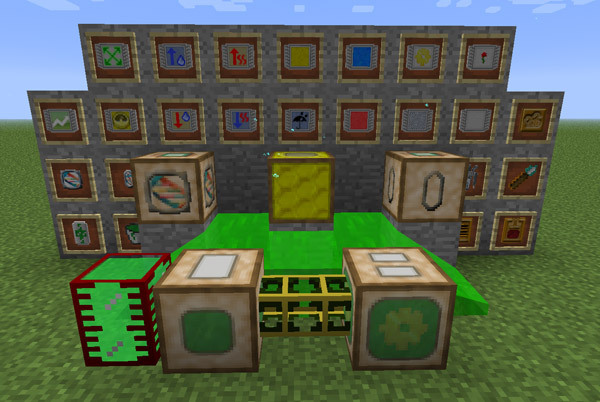 Are there 16x textures for this mod?